I have done my part of experimenting with my hair, a lot of it. Am I done? No, I would like to keep having fun because YOLO (you only live once!). Balayage is something I have been particularly interested in but after last year's at home ombre experience my hair got hay-like when stripped of color so I have been hesitant since. 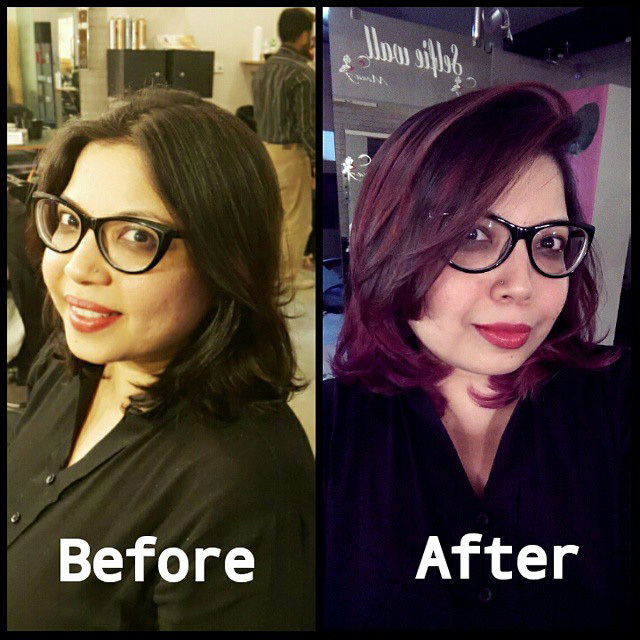 Olaplex was a motivation and I chose MONAJ to experiment with my hair due to great reviews about her. 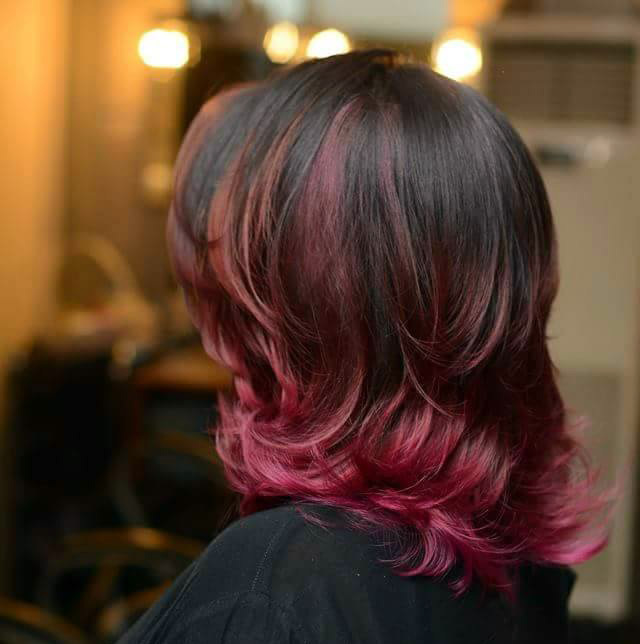 WHAT is Balayage Technique? Balayage is a French colouring technique that was developed in the 1970s, wow and we are going crazy now. It’s a freehand technique where the colour is applied by hand rather than using the traditional foiling or cap highlighting techniques. The best thing about Balayage is that it can be used on any hair length so if you have a pixie cut you know what you will be doing next. Due to the freehand application not everyone can get the job done right so always make sure you go to a pro colorist who is skilled at this, which is what I did. 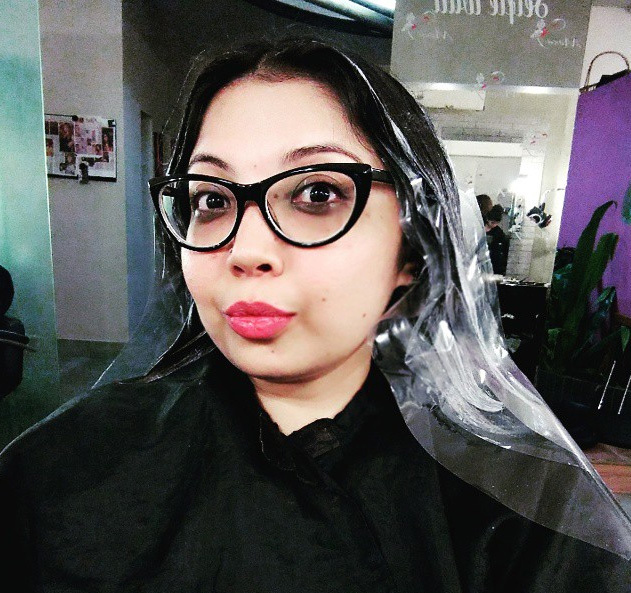 MONA J Experience: Mona stripped my color but without damage because she also added Olaplex. After the cutting down of color and washing, my hair was dried and she further treated my hair with pink toning. 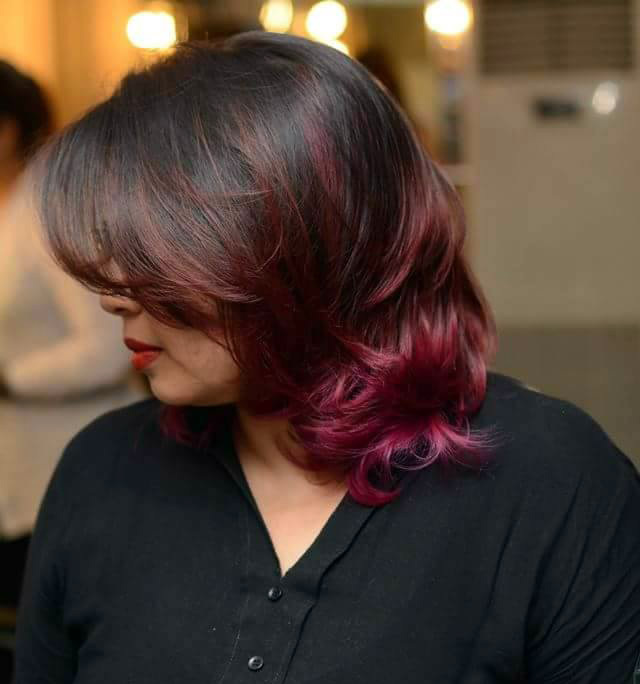 I loved the balanced gradient effect that she created on my hair. 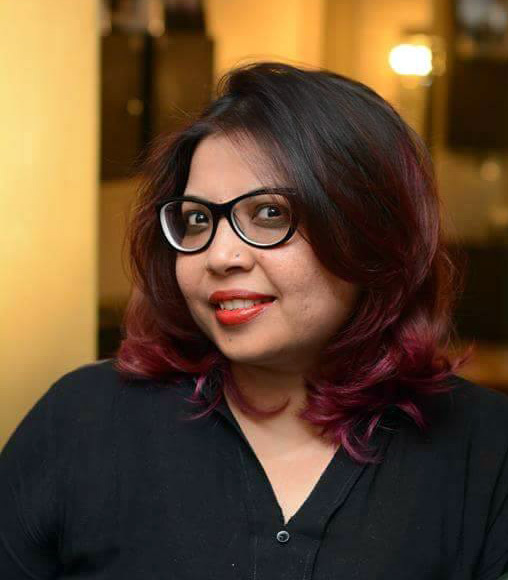 The color was lighter on the top and gradually got intense all the way to the tips. That was BALAYAGE done well. I saw the entire tedious treatment. Mona was very thorough with the freehand blending which you can actually see in my hair. 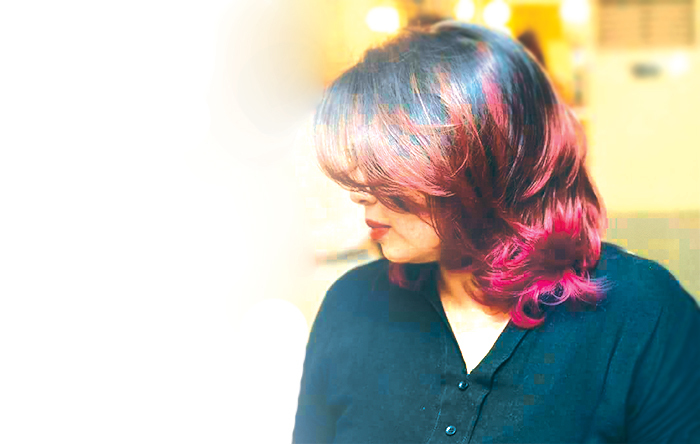 If you are in Karachi and want some BALAYAGE love then go check out MonaJ Salon. My hair (and me) have never been happier! Vibrant Happy Hair alert! The best thing about this look is that the tom=ning lasts for two weeks and then you can get another color and change your look! I am thinking purple perhaps? what do think? 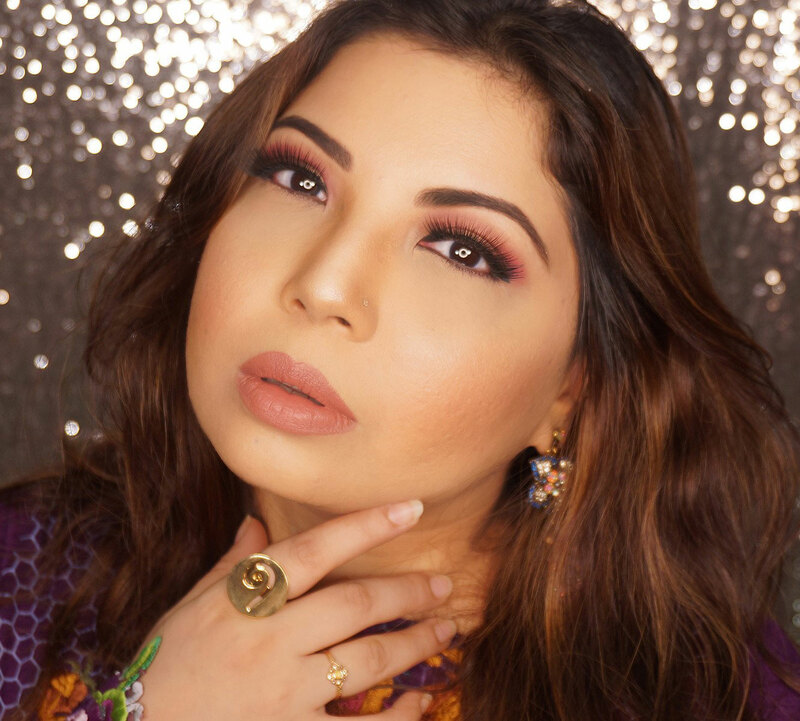 If you want to get this artistic treatment done you can get more info from MONA J HERE. I love the color of your hair! It is gorgeous on you.